Wednesday 10th October saw World Mental Health day recognised across the globe. 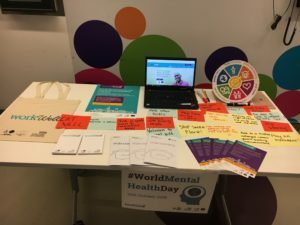 Established by the World Federation for Mental Health in 1992, this year’s World Mental Health Day theme was ‘Young people and mental health in a changing world’. 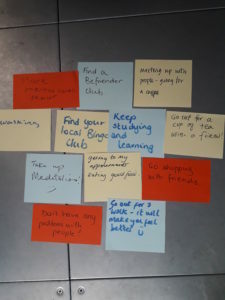 As a South London and Maudsley NHS Foundation Trust run project (funded by the European Social Fund and the National Lottery, through the Big Lottery Fund), Work Well keenly set out to raise awareness about Mental Health and more specifically, how work can benefit people struggling with their Mental Health in conjunction with the day.